Margaret Mensah-Williams, the Chairperson of the National Council, has been elected as the new Co-Chair of the Parliamentary Conference on the World Trade Organization (PCWTO), according to a statement this week. The conference aims to enhance parliamentarians’ understanding of the WTO and to allow them to oversee the World Trade Organisations’ vital work in setting global trade rules and settling disputes. 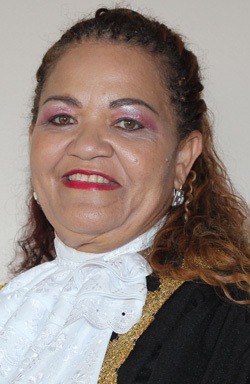 “Due to her great experience and knowledge on the work and functioning of the Inter-parliamentary Union (IPU), as well as her great trajectory and leadership as Chairperson of the National Council of the Republic of Namibia, Margaret Mensah-Williams is a worthy representative of the IPU, as Co-Chair on the conference,” Gabriela Cuevas Barron, the President of the IPU. The conference is also designed to promote common parliamentary action on international trade, especially regarding the successful conclusion of the Doha Development Agenda and the implementation of the Bali and Nairobi Ministerial Decisions. This interaction helps the global trade regime to be more transparent and accountable. It was co-founded in 2003 by the IPU and the European Parliament’s Committee on International Trade, which serves as co-chair of the conference’s steering committee. The Committee comprises 22 national parliaments and other regional and international parliamentary assemblies and structures. 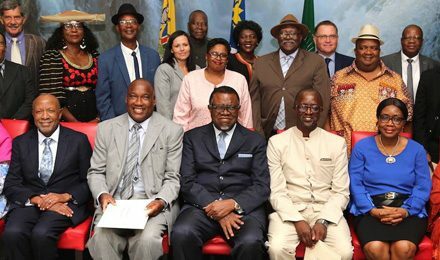 These include the Commonwealth Parliamentary Association, the Parliamentary Assembly of the Council of Europe, and representatives of the World Trade Organization Secretariat. Each Member Parliament or organization has the right to choose its representative(s).